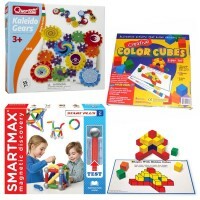 This is an ultimate first math toy set of 5 smart playthings that will create a perfect math and reasoning learning environment for toddlers 2-3 years. From sorting utensils to giving simple directions, from matching socks to checking change, math is around us and our children. Math skills are important in everyday life and for being ready for school. 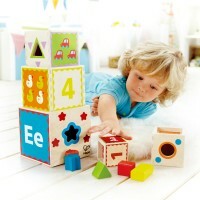 Creating a playful environment that promotes early math learning makes it important for toddlers. 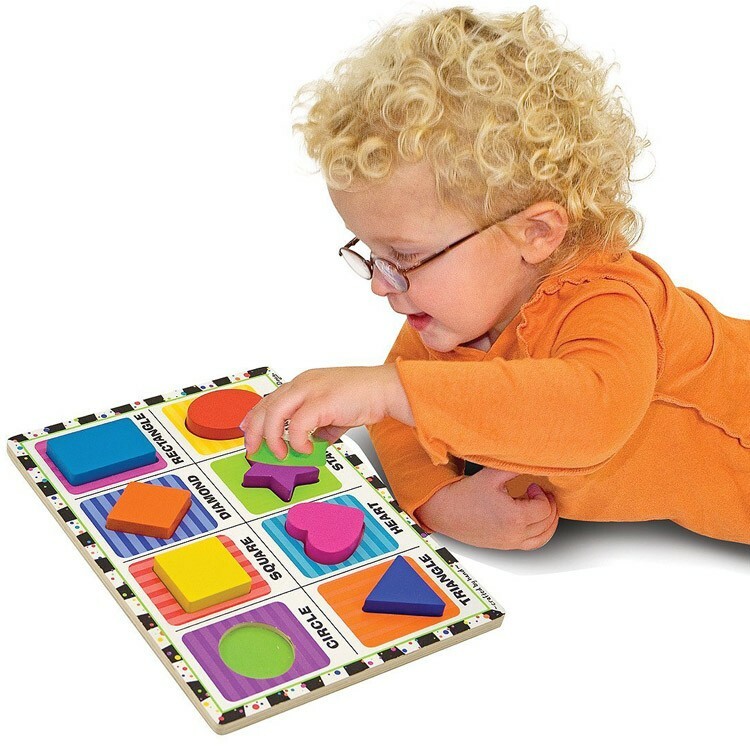 Early Math Development Kit for Toddlers 2-3 years will assist the youngest learners in making first steps in learning basic math concepts and using the language of math. 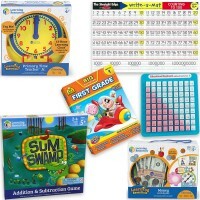 The five teaching toys in this math learning bundle were hand-picked by Educational Toys Planet's team of experts. 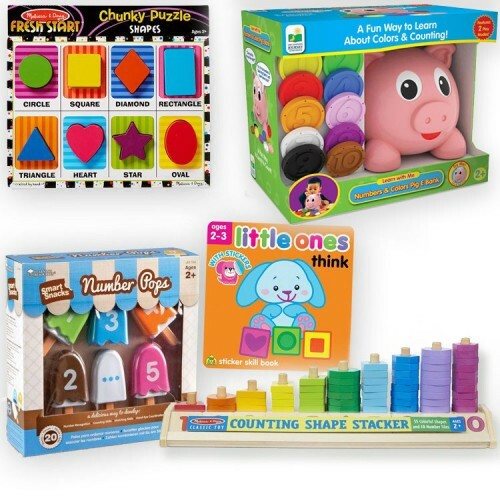 These toddler educational toys will teach the little ones to count verbally and recognize numerals, shapes, colors, and patterns, understand simple problem solving and logical reasoning, incorporate math use in the daily routine. 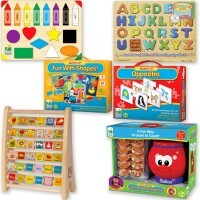 The Early Math Development Kit for Toddlers 2-3 years includes 5 smart playthings: Numbers & Colors Pig E Bank Electronic Learning Toy by the Learning Journey, Smart Snacks Number Pops Counting Toy by the Learning Resources, Shapes Chunky Wooden Puzzle and Counting Shape Stacker Early Math Learning Activity Toy by Melissa & Doug, and School Zone's Little Ones Think Toddler Sticker Activity Book. 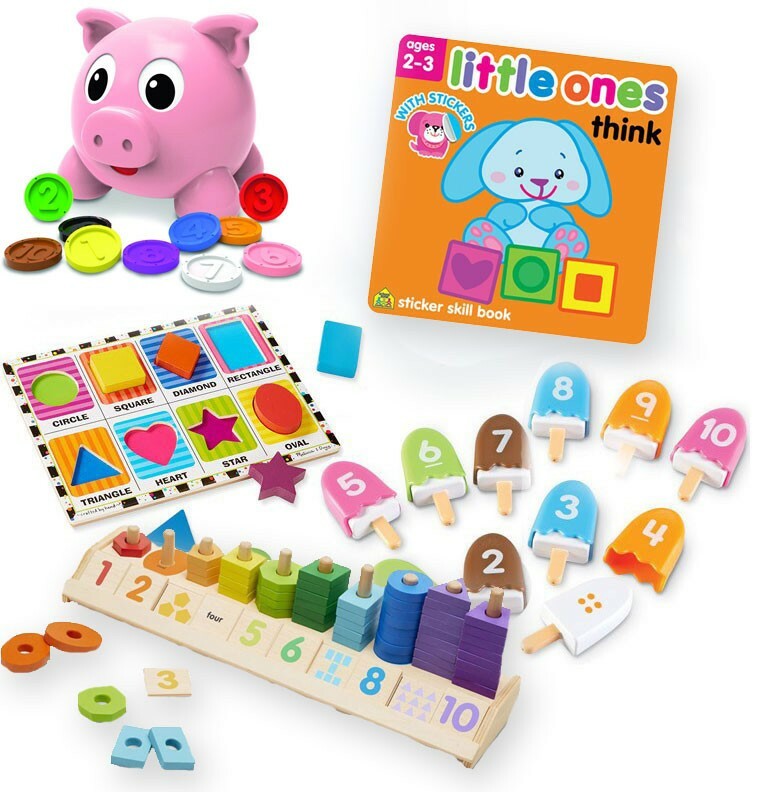 The Numbers & Colors Pig E Bank Electronic Learning Toy is a friendly electronic toy that features 2 play modes and comes complete with 10 chunky coins. 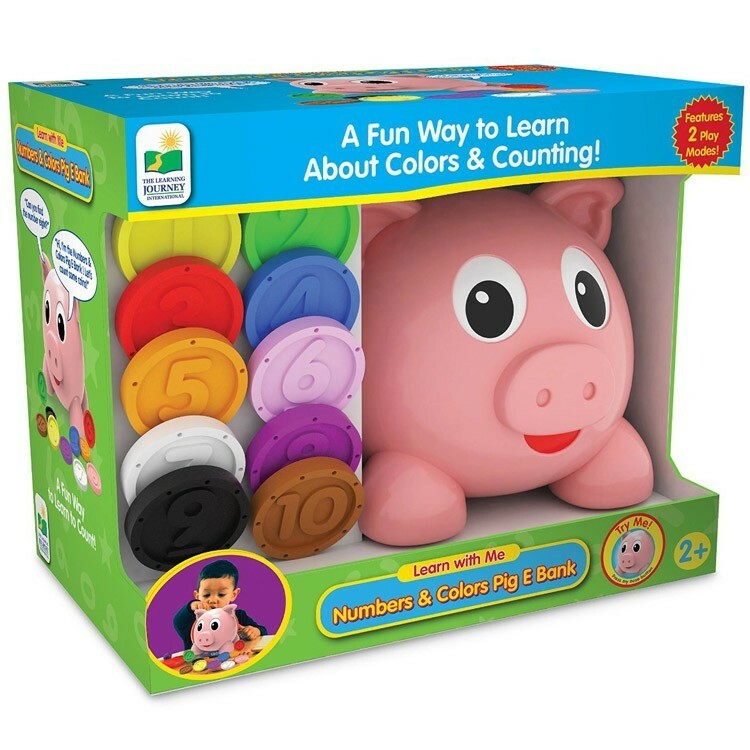 Tots will love listening to this smiling pig as they put the colorful coins in the container and learn colors and numbers, or find the requested coin themselves. 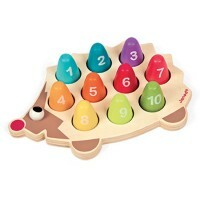 With the eduTASTYnal counting pop set kids will count the dots and match numbers 1–10. 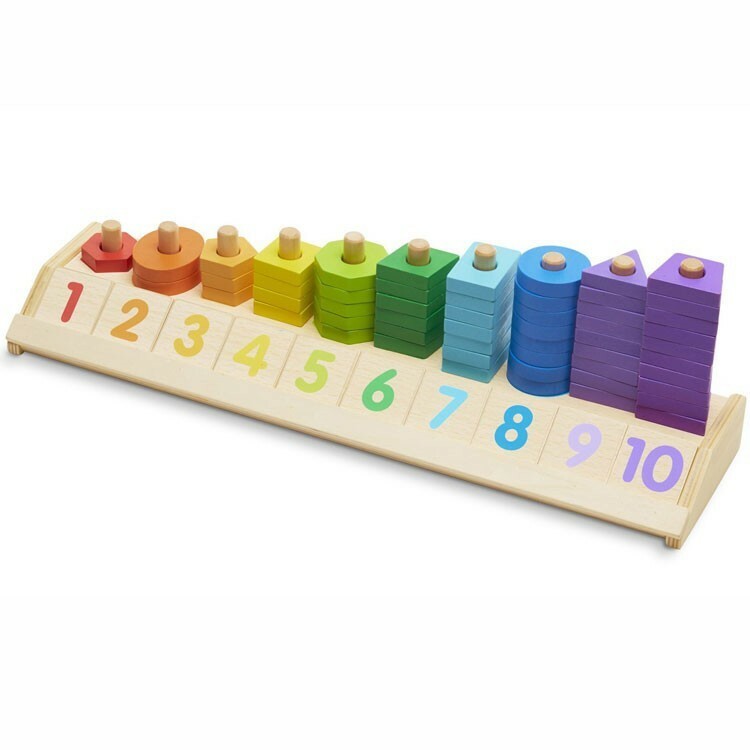 Counting Shape Stacker Early Math Learning Activity Toy is a wooden board with 10 stacking pegs for colorful counting discs. 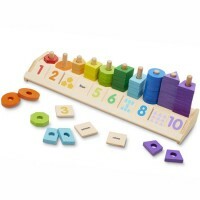 This math activity center comes with 66 wooden pieces to count, sort, stack , add and subtract. 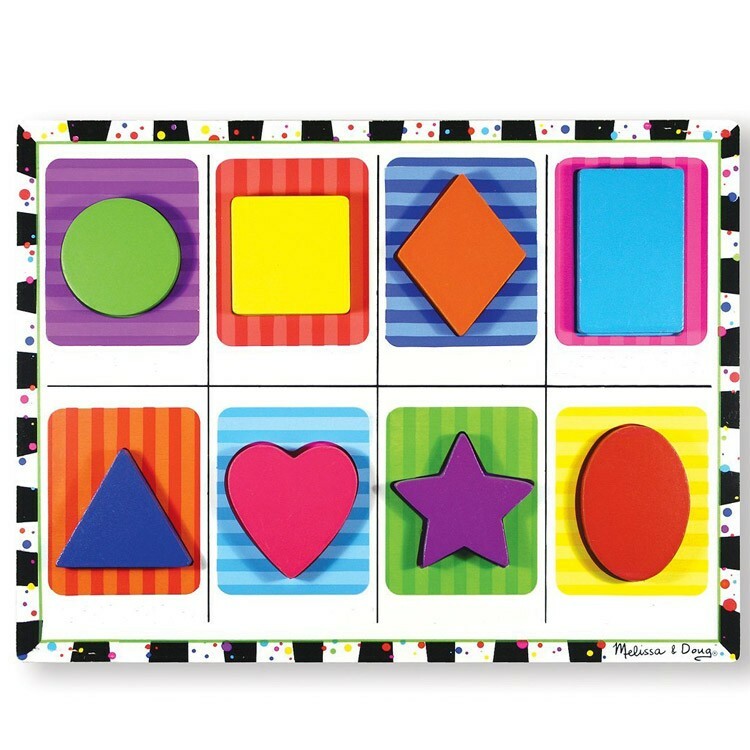 With the wooden Melissa & Doug's first shapes puzzle toddlers slot each of the 8 chunky wooden shapes into its space, or stand them up for some fun! The Little Ones Think is your toddler's first workbook. Tots will not even know that they are learning - they will just enjoy adding stickers to the colorful pages this activity book. 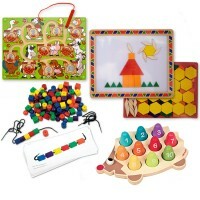 Early Math toy bundle is an ultimate first math teaching set for your child at home, or in a daycare classroom. 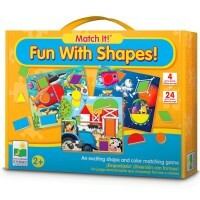 This math skills development kit is also recommended for special education learners. 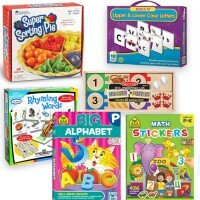 Write your own review of Early Math Development Kit for Toddlers 2-3 years.